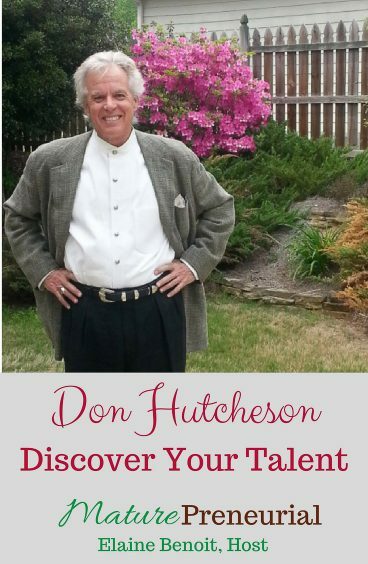 Don Hutcheson is a serial entrepreneur in advertising, publishing and career development and host of the podcast Discover Your Talent-Do What You Love. 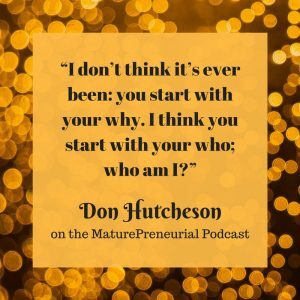 Don Hutcheson is a lifelong entrepreneur: an inventor, author, coach and now, podcaster. He hosts the podcast: “Discover Your Talent—Do What You Love,” three days a week in order to help his listeners find their true talents and use those talents to build careers of success, satisfaction and freedom. Over the past 40 years, Don has created six innovative companies in advertising, publishing, coaching, career planning and podcasting. Don co-founded his first business right after he graduated from college. 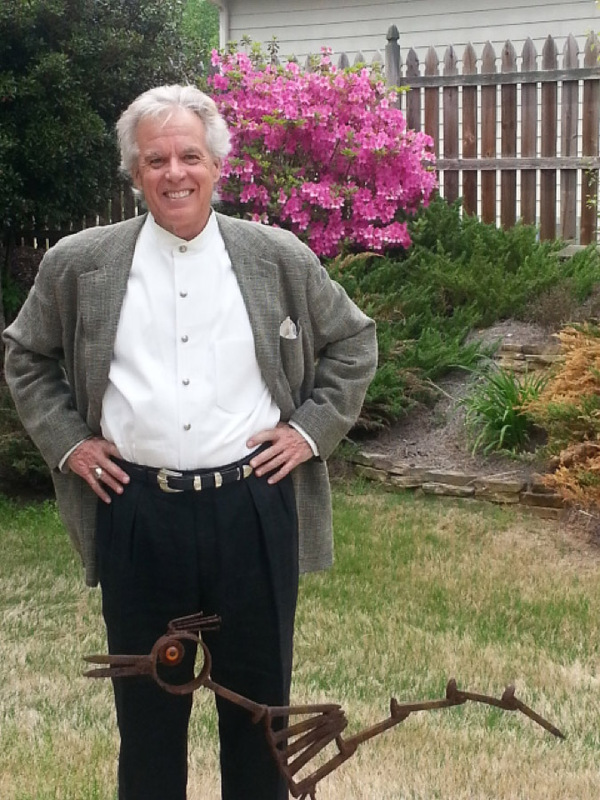 With partner Fred Brown, he created Brown’s Guides, a recreational guide book for Georgia and beyond that is still published today. Nine years later he co-founded his first advertising agency, Hutcheson & Anderson. A few years after that, he co-founded his second: Hutcheson Shutze. After taking an assessment that measured his “natural abilities”, as opposed to his interests, skills, IQ or personality, Don was inspired to create his own assessment, The Whole Person Technology™. This was the first-ever holistic approach to educational, career and life planning, which he ultimately transformed from paper and pencil to an online version. During this period, Don co-authored two popular books on career planning: The Lemming Conspiracy and Don’t Waste Your Talent. Don decided to leverage his 30 years experience as entrepreneur, inventor and writer to become a coach. A few years later, he founded and published the first online magazine to offer tools and insights into issues that impact every lawyer’s success and satisfaction and every firm’s profitability. When it was published, The Complete Lawyer was distributed by the bar associations in 36 states. Most recently, Don has created and launched a new podcast, Discover Your Talent~Do What You Love. The podcast series is designed for people of every age and background who are looking to build a life and career that uses the best of who they are and to enjoy a life of success, satisfaction and freedom. Don served a tour of duty in the US Army as a Russian linguist in the Army Security Agency: Voice & Intercept. After he was honorably discharged, Don returned to Emory University to complete his BA in Russian Language and Literature. How many people were in there with you? Do you still know how to speak Russian? What are you doing now that you’re a MaturePreneur? When you said that you did that before, what exactly did you do, try to find people’s passion? Do you still have people going through this system? When do you think the membership site will go live? What is the most successful ideas you implemented for your business? After you started your business, is there anything that catapulted you to the next level of your business? Since you started, what is the most surprising thing you’ve discovered? What do you see as the biggest problem in the entrepreneurial space at the moment? What advice could you give to someone just starting out?